Seller will give you a gift certificate in the amount of 9,5785 RUB for a positive review of the product purchased. 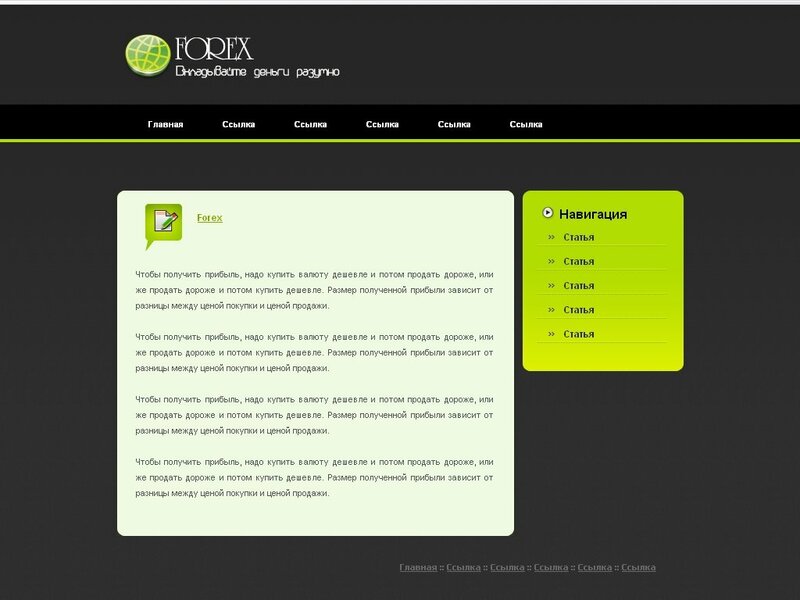 Lightweight, good-looking html-template for your website on the topic of "Forex"
The number of sales is limited. Seller will give you a gift certificate in the amount of 9,5785 RUB for a positive review of the product purchased..